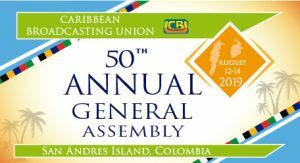 We are pleased to announce that the Caribbean Broadcasting Union (CBU) will be hosting it's 50th Annual General Assembly on 12 to 14 August 2019 in San Andres Island, Colombia. Please mark it in your calendars. More information will follow shortly.